There are several ways in which you can work with us. 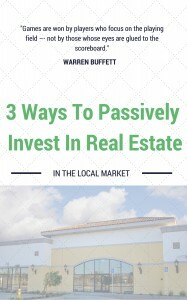 Are you interested in learning more about Equity Estates and our operations and investment opportunities as partners on deals, to purchase wholesale properties, or seeking an alternative to investing your money in the stock market (or other traditional places)? If you are, fill out the short information form below or give us a call at (877) 888-8112 to learn about the options we offer. Are You Seeking Automatic Notifications Regarding Distressed Properties? Our inventory is constantly changing, so if we don’t have what you’re looking for today, we will in the immediate future! We have everything from complete rehabs to minor fixer uppers to rentals and move-in ready homes, all being sold at very attractive prices. Join our investor buyers list and be the first to be notified anytime a new property is added to our inventory. We get new properties often, so make sure you get the ones you want by joining our list today. Are You Seeking Solid Returns on Your Hard Earned Dollars? If you are looking for an easier way to participate in the real estate market, then you should think about becoming a private lender.We buy and sell homes at reasonable prices and transform communities. Due to the large number of properties that we buy and sell, we are always looking for short-term private lenders who are excited to loan money at attractive rates, and which will be secured by a mortgage or deed of trust. We can agree on the terms and a time frame that will keep you happy. This is not a solicitation or offer of securities. Investment in Equity Estates is offered only to qualified investors through a written Investment Agreement or Private Placement Memorandum. Interested in Learning More? Submit your information below or give us a call today at (877) 888-8112.